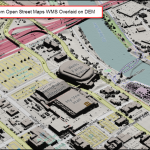 Applied Imagery offers Quick Terrain Modeler (QTM) floating licenses via FLexNet License Manager – also known as FLexLM. This solution offers all the flexibility of the existing QTM floating licenses that were previously only available using Rainbow Sentinel server/dongles, but with no physical dongle required. The FlexNet architecture is ideal for enterprise-wide deployments and for secure facilities in which USB dongles are discouraged or forbidden. The support files below contain instructions for getting started as well as Operating System specific support files, including Applied Imagery’s vendor daemon, LMGRD, and LMTOOLS. Please be sure to download the support files for the operating system of your license server, not the client machines. Operating systems supported for license servers are Windows 32-bit, Windows 64-bit, and SPARC/Solaris 32-bit.